Clear color. Toasty, nutty, floral, herbal aromas and flavors of baklava with confectioners sugar, herbed citrus and tomato relish, delicate floral lotion, and bbq taro chips with a silky, bright, dry-yet-fruity medium-to-full body and a warming, engaging, medium-to-long finish conveying nuances of floral bath oil, juniper jam on rosemary foccacia, lemon pepper and honey, and sandalwood incense ash finish. A warming and earthy gin with an intriguing blend of floral, citrus and savory notes. 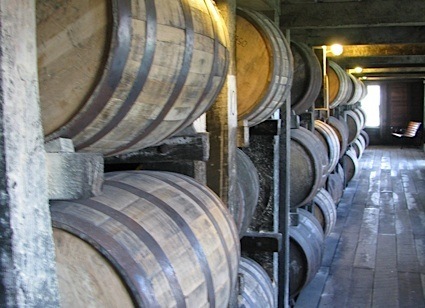 Bottom Line: A warming and earthy gin with an intriguing blend of floral, citrus and savory notes. 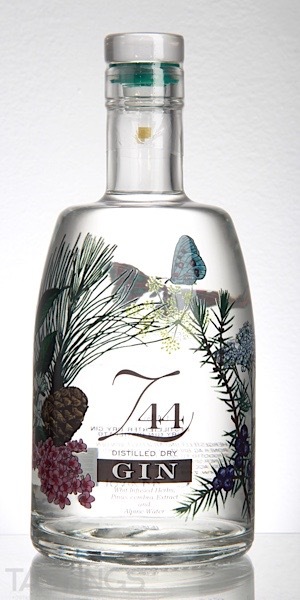 89 • Z44 Dry Gin 44% (Italy) $50.00. Z44 Dry Gin rating was calculated by tastings.com to be 89 points out of 100 on 2/27/2019. Please note that MSRP may have changed since the date of our review.